Banking & Finance is one of our main areas of practice, driven by our outstanding expertise in devising complex financing structures. We are renowned for being one of the leading law firms in guiding banks, corporations and financial institutions in a wide range of banking work, including syndicated loans, structured finance, acquisition finance, asset finance, project finance, securitization, derivatives, shipping finance, telecoms finance and international securities work. We are regularly retained by all major banks and finance providers, as well as a number of borrowers. We have acted for high-profile international and domestic banks, creditors, debtors and underwriters, as well as for developers, financial institutions and syndicates on financing infrastructure and industrial projects. We have also gathered substantial expertise in the regulatory field. One of the most important European financial institution in connection with the USD 200,000,000 financing granted to one of the subsidiaries of the largest oil and gas producer in South Eastern Europe, secured by various guarantees and collaterals granted by the company and two of its Romanian subsidiaries. A leading Switzerland-based holding company engaged in private banking, investment banking and asset management areas, as well as a European financial leading Group in banking services in connection with the senior amortizing term loan facility granted to a privately owned international grain and fertilizer trader, amounting to CHF 200,000,000, for the indirect partial financing of some promissory notes and for refinancing the bridge loan facility granted in 2013 for the latter’s indirect acquisition of Azomures, a Romanian giant corporation in the field of fertilizers. The consortium of banks formed of two leading italian banking institutions in connection with securing the banks’ receivables resulting from multimillion financing granted by the banks for purchasing the shares of a local player in the energy industry. 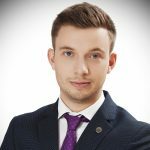 One of the world’s leading financial service providers regarding the implementation of a reverse factoring mechanism on the Romanian market. A major player in the Swiss financial industry in connection with credit facilities (and related security package) in excess of USD 100,000,000 granted to a major player in the oil trading industry. One of Denmark’s major banks in connection with the security package concluded by the bank to secure the financing, amounting to DKK 26,000,000, granted to a local real estate player. A leading international multinational financial services corporation in the launch of the International Corporate Currency products (“ICC”) on the Romanian market. 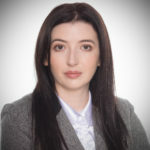 The largest Romanian bank in connection with multimillion financing for the development of two large photovoltaic parks in Romania. A leading international financial and investment group in connection with the increase of a multimillion facility granted to the local subsidiary of a Czech real estate developer for the construction of a large office building project in Romania. A leading full-service commercial banking institution based in Korea in connection with various legal issues pertaining to financing five photovoltaic projects. A local affiliate of the world’s largest pump manufacturer based in Denmark in relation to various aspects falling under Romanian law. 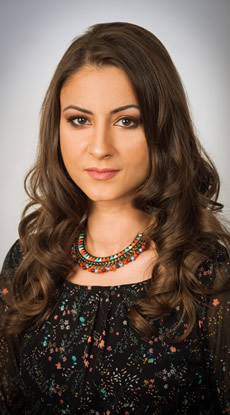 A major European provider of retail and wholesale financing solutions in connection with the full range of corporate and commercial matters related to its leasing activity in Romania, such as currency regulations, terms and conditions applicable to leasing operations, types of securities, security enforcement, repossession of goods, taxes, insurance, as well as drafting and reviewing various cross-border and local leasing agreements, guarantee agreements, services agreements and intra-group cooperation agreements, as well as in relation to various aspects regarding the co-financing of multiple projects financed from structural instruments funds and the securitization related thereto. A leading independent private equity investment firm in connection with the potential acquisition of 70% interest in a Spanish construction company and the indirect acquisition of the latter’s subsidiaries. One of the most important European financial institutions in connection with the structuring and negotiation of the EUR 370,000,000 loan facility granted to the Romanian operator of the metropolitan infrastructure for the development of a new metro line in Bucharest. 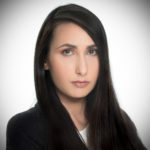 An Israel based international holding and investment company in connection with of the approx. EUR 234,000,000 financing from an important German bank for the development of the largest shopping mall in Romania. Further assistance in connection with a EUR 13,400,000 loan granted by the Austrian division of one of the most important European banks for the purpose of financing the construction of the first office building within an office park developed in the vicinity of the shopping mall. One of the investment vehicles of the leading European multi-let real estate investment manager in relation to a EUR 225,000,000 term loan facility made available by an important German bank for refinancing the acquisition and management of the industrial real estate portfolio pertaining to the fund owned in Romania, Czech Republic, Poland and Hungary. One of the European Union agencies providing financing to small and medium-sized enterprises, on the implementation of a EUR 100,000,000 project in Romania, whereby the agency manages, on behalf of the Romanian State, the structural funds provided by the EU for the small and medium-sized enterprises’ sector enhancement. A Canadian based energy company engaged in the exploration of crude oil and natural gas in connection with a £105,000,000 facility granted by a consortium of banks led by one of the leading European banks. The Swiss subsidiary of one of the largest European banks and a global firm providing financial services in connection with the facility granted to a leading international grain and fertilizer trader, exceeding EUR 120,000,000. One of the major Austrian private banks in connection with a EUR 12,000,000 term loan facility granted in view of refinancing the acquisition, renovation and refurbishment of a large office building located in Bucharest. The local subsidiary of one of the leading companies in the pharma industry with respect to EUR 43,000,000 financing granted by a consortium of banks, led by an Austrian based leading bank. A leading financial institution in the People’s Republic of China (PRC) in connection with a multimillion financing for the development of two 55MW photovoltaic electricity power stations in Romania. The corporate investment management and financial services arm of one of the largest French banking groups with respect to financing major oil trading companies, amounting to USD 750,000,000, as well as with regard to the creation of the related security package. The leading IT services in Central and Eastern Europe & Austria in connection with the security interests created in favour of a major Austrian based banking institution in order to secure the refinancing of facilities of over EUR 70,000,000. A local major player in the railway industry in connection with a roll-over syndicated Facility Agreement of EUR 120,000,000 from various major European banks under LMA standard documentation. 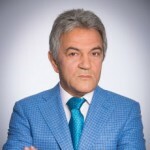 One of the so-called Japanese “megabanks” in connection with the USD 221,000,000 syndicated loan granted to one of the most important banks in Romania. 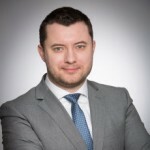 A prominent service provider on the Hungarian telecommunications market in connection with the subordination of its Romanian subsidiary to a EUR 165,000,000 facility agreement and to the issuance by the mother company of senior notes in an initial aggregate principal amount of EUR 142,000,000. 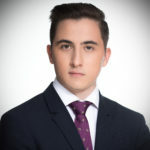 An Austrian based leading corporate and investment bank in connection with a EUR 71,500,000 loan facility granted to the owner of one of the luxury hotels in Bucharest. Spanish based Europe’s leading savings bank in relation to various multimillion real estate acquisition and development project financing in Romania, totaling over EUR 200,000,000. The Dutch subsidiary of a leader in banking and financial services in Europe, as coordinating bank, with respect to granting a EUR 262,300,000 loan to two companies, part of a Czech electricity conglomerate. 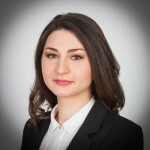 A British-Romanian credit institution and one of the most important banks in Romania in connection with a USD 115,000,000 long-term loan granted to the regional leader in the local offshore industry. One of the most important European financial institutions in connection with the EUR 232,000,000 loan granted to the competent Romanian public authority for infrastructure rehabilitation and urban development. 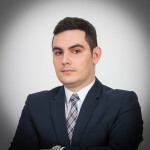 An European multilateral development banking institution in connection with the EUR 135,000,000 loan agreement granted to two Romanian companies. The subsidiary of a leading Dutch based bank, with regard to the creation of a security package and correspondent financing of major oil trading companies, with a total amount exceeding USD 90,000,000. The Romanian subsidiary of an Austrian based leading investment bank on a EUR 100,000,000 borrowing facility granted by the central institution for German co-operative banks. An Austrian based leading investment bank in connection with the EUR 14,500,000 loan granted to an Austrian investment group, the stakeholder of a large Romanian oil refinery. The Swiss based main private bank of one of the leading European banking groups in connection with the security package meant to secure the credit facilities granted to a major player in the oil trading industry, amounting to more than USD 25,000,000. An investment vehicles of a leading European multi-let real estate investment manager with respect to a EUR 100,000,000 syndicated loan facility for financing the acquisition of industrial outlets in Romania. 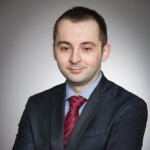 A leading international electricity company, in connection with the refinancing of a multimillion loan facility granted by one of the leading Romanian banks to one of the most important local private electricity traders, as part of the overall acquisition process the respective electricity trader. The Swiss subsidiary of the European leader in global banking and financial services, in respect of various financing and related collateralization operations for supporting the business development of major oil trading companies, amounting to more than USD 220,000,000. The Japanese subsidiary of a leading global financial services firm and one of the largest banking institutions in the United States in relation to a JPY 18,000,000,000 facility agreement previously granted to the the world’s second-largest maker of pharmaceutical capsules. A large international Dutch based shipbuilder in connection with the EUR 651,000,000 syndicated loan granted by a consortium formed of three leading Dutch based banks to the client and its group companies (including the Romanian subsidiary). Additionally, we were involved in the EUR 150,000,000 supplementations of the maximum total amount, which thus exceeded EUR 900,000,000. One of the largest Canadian banks in connection with the credit agreements governing a 364-day revolving term credit facility of up to USD 500,000,000 and a four-year revolving term credit facility of up to USD 500,000,000, both made available to a multinational electronics manufacturing services company and certain of its subsidiaries. One of the European Union agencies which provides financing to small and medium-sized enterprises in connection with a multi million facility granted to the largest Romanian non-banking financial institution specialized in micro-financing, in the context of Decision no. 283/2010/EU of the European Parliament for employment and social inclusion, aiming at supporting the creation and development of small enterprises and self-employment in the European Union. A leading Belgian bank in connection with a multi-option credit facility and a facility agreement for contingent commitments granted to the local subsidiary of a major international supplier of aviation jet fuel. An Austrian based bank for the enforcement of security interests over immovable assets in relation to various multimillion financing schemes. A British finance and equity capital advisory company in relation to a EUR 40,000,000 syndicated term loan facility made available by an important Austrian bank and one of the leading Romanian banks for the development of a retail & commercial park in Bucharest. The Romanian subsidiary of the most renowned Scottish banks with respect to the review of its credit facility granting procedures, as well as for reviewing the complete set of banking documentation from the MiFID Directive standpoint. Legal work also included representing the same in a complex administrative litigation against the misdemeanor minutes concluded by the National Authority for Consumer Protection (ANPC) with respect to the alleged infringement of consumer protection regulations, as well as in litigation files initiated against the bank by certain clients, regarding the inclusion of allegedly abusive clauses in the bank’s loan agreements. 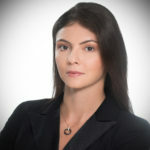 The Romanian subsidiary of one of the largest Israeli banks in connection with the EUR 19,200,000 project financing for two residential projects developed by a successful real estate developer, whose ownership structure included a renowned American hedging fund and a leading Austrian real estate developer. Two Swedish banks, with respect to loans exceeding USD 20,000,000 granted to the world’s largest independently owned regional aircraft turboprop trading and leasing company for financing five Saab 2000 aircrafts on lease to a Romanian airline company. 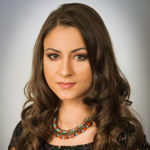 Drafting and negotiating the agreements concluded by the national repository of consumer credit information for implementing the credit scoring system in Romania, drafting and negotiating the agreements for participation concluded with the vast majority of banks and financial institutions. A leading Belgian bank in respect of the establishment of its banking branch network in Romania, including the preparation and structuring of the entire banking documentation to be used in the local branches’ activity: credit facility agreements, club-deal agreements, related securities interests, etc. 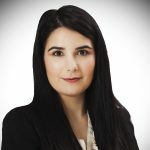 Further advising the same in connection with the implementation of Payment Services Directive in Romania and the entire array of rules, constraints and other legal issues arising from the latter, including an in-depth review of standard banking documentation to ensure compliance therewith. The Romanian subsidiary of the most renowned Scottish bank in the settlement of a potential dispute with a Romanian company having a strong tradition in trading industrial equipment made in Romania for the recovery by the latter of amounts of up to USD 17,000,000 arising from cross-border business relations. An important German bank in relation to Romanian law issues raised by the operation of an international cash pooling and netting system for a group of companies, including a Romanian company. An Austrian based leading corporate and investment bank in connection with the USD 70,000,000 syndicated loan facility granted to a leading group in the oil industry. An European multilateral development banking institution in connection with a loan agreement concluded with the largest Romanian bank, whereby the latter contracted a EUR 50,000,000 loan, with a view to granting mortgage loans. One of the most important European financial institutions on a EUR 50,000,000 loan granted to the largest Romanian bank, as well as on the guarantee and indemnity agreement entered by the same financial institution with the mother company of the referred Romanian bank, in view of securing the above-mentioned loan facility. An European multilateral development banking institution in connection with two loan agreements concluded with an important Romanian bank, whereby the latter contracted a EUR 40,000,000 loan with a view to granting residential mortgage loans. An Austrian based leading corporate and investment bank and its Romanian subsidiary in connection with a EUR 50,000,000 syndicated loan granted to a renowned leasing company, for financing leasing operations. The leading Italian electric utility company (the second-largest in Europe) in relation to the structuring, negotiation and amendment of a complex risk guarantee scheme put in place by the most important United Nations international financial institution, one of the largest American banks and the one of the central Romanian authorities, aimed to cover the risk of adverse changes in regulation, concerning electricity distribution and supply activities in Romania. The largest bank in Japan on a EUR 25,000,000 term loan facility granted to a leading Romanian bank. An European multilateral development banking institution, in respect of a EUR 22,500,000 loan agreement to the most important Romanian based bank, in the view of financing SMEs activities. An European multilateral development banking institution in respect of a loan agreement in maximum amount of EUR 20,000,000 granted to the local subsidiary of one of the largest German supermarkets’ chains for the development of supermarkets in Romania. One of the most important European financial institutions in connection with structuring and negotiating a project finance scheme in excess of EUR 17,000,000 granted to the Municipality of one of the most important Romanian city for the development of the public transportation system. An important British based banking institution in connection with a EUR 20,000,000 loan facility granted to the largest Romanian bank. 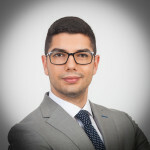 A major Romanian FMCG producer, in connection with the restructuring of loan facilities in excess of EUR 10,000,000 granted by one of the leading Romanian banks. The firm has advised on the complete loan and security documentation. Ranked as leading/highly recommended in Banking & Finance by the prestigious British legal publishers IFLR 1000, Chambers Global and Legal 500.